PA Boxers Inc. | Is a non-profit organization, who is dedicated to rehabilitating and providing a second chance to Boxers. 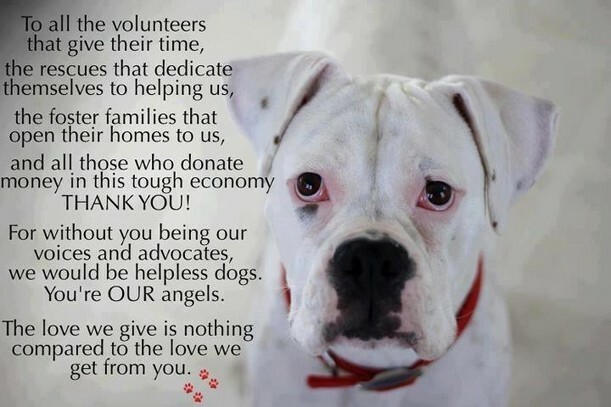 Dogs come into rescue for lot's of different reasons. Some are strays that we do not know much about until we can get them into a foster home. Some are owner surrenders being surrendered because they can no longer care for them, or they have lost their home and can not take the dog to wherever they are going, divorce, death in the family, or simply because they just never took the time to properly train the puppy who now is a big dog and they are not willing to seek help. Some of these dogs are easy, they have been trained, they are housebroken, they are crate trained, they are good with kids, dogs and if your really lucky even cats. These are the ones that everyone wants of course! But what about the ones that have lots of love to give but they just need someone to teach them better manners, or the ones that just need to be shown that it's ok, you can trust , your in a safe and loving place now. What about the seniors who have lived their whole life with a family only to find themselves now sitting in a shelter because their just to old now. They only need a soft bed and a loving place to live out the rest of their years.